The HCM City People’s Committee plans to allocate more than VNĐ700 billion (US$29.98 million) for renovation and preservation of cultural heritage sites and buildings in the 2019-2020 period, according to the city’s Department of Culture and Sports. The city has a total of 172 recognised relics, including two special national-level relics, 56 national-level relics and the remaining at city level, said Huỳnh Thanh Nhân, director of the city’s Department of Culture and Sports. Nearly 100 sites are seeking recognition as relics, Nhân said at a workshop held on Thursday in HCM City. The city has also encouraged private investors to take part in preservation of cultural heritage sites, he said. “Many relics have been damaged seriously due to poor management and preservation efforts as well as limited funds for preservation,” he added. Đặng Văn Bài, deputy chairman of the Cultural Heritage Association of Việt Nam, said that failure in urban planning had led to the disappearance of many heritage sites. Rapid urbanisation had led to unplanned construction of high-rise buildings along historically famous streets such as Nguyễn Huệ, Lê Lợi, Hàm Nghi, Lê Duẩn and Tôn Đức Thắng, damaging the historic value of these boulevards, Bài said. Lê Tú Cẩm, chairwoman of the HCM City Cultural Heritage Association, said the preservation of cultural heritage was vital for the city’s sustainable development. 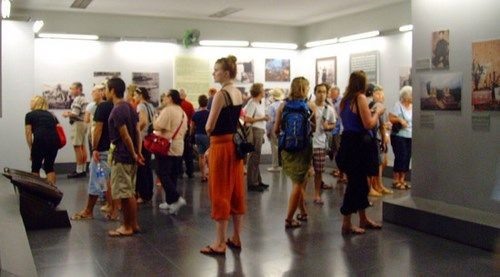 The tourism sector should also contribute to the preservation of cultural heritage sites, which greatly benefit the local tourism sector, Cẩm said. Only 40 recognised relics in the city are currently listed on city tours, according to the HCM City Monuments Conservation Centre.